For dry or damaged hair. Soothes scalp. Moisturizes hair. 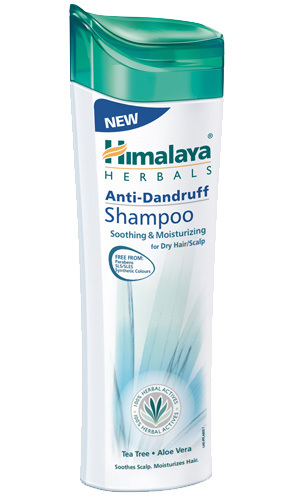 Himalaya Herbals Anti-Dandruff Shampoo Soothing & Moisturizing is perfect for dry hair that needs extra moisturizing and nourishment. The special blend of herbs soothes the scalp and keeps your hair dandruff free, strong and more manageable. Massage Himalaya Herbals Anti-Dandruff Shampoo Soothing & Moisturizing gently into wet hair and scalp. Rinse thoroughly. Repeat if necessary.